Craig Shergold (born 24 June 1979) is a British former cancer patient who received an estimated 350 million greeting cards, earning him a place in the Guinness Book of World Records . Variations of the plea for greeting cards on his behalf in 1989 are still being distributed through the Internet, making the plea one of the most persistent urban legends. A greeting card is an illustrated piece of card stock or high quality paper featuring an expression of friendship or other sentiment. Although greeting cards are usually given on special occasions such as birthdays, Christmas or other holidays, such as Halloween, they are also sent to convey thanks or express other feelings. Greeting cards, usually packaged with an envelope, come in a variety of styles. There are both mass-produced as well as handmade versions that are distributed by hundreds of companies large and small. While typically inexpensive, more elaborate cards with die-cuts or glued-on decorations may be more expensive. Terminal illness or end-stage disease is an incurable disease that cannot be adequately treated and is reasonably expected to result in the death of the patient. This term is more commonly used for progressive diseases such as cancer or advanced heart disease than for trauma. In popular use, it indicates a disease that will progress until death with near absolute certainty, regardless of treatment. A patient who has such an illness may be referred to as a terminal patient, terminally ill or simply terminal. There is no standardized life expectancy for a patient to be considered terminal, although it is generally months or less. Life expectancy for terminal patients is a rough estimate given by the physician based on previous data and does not always reflect true longevity. An illness which is lifelong but not fatal is a chronic condition. A chain letter is a message that attempts to convince the recipient to make a number of copies of the letter and then pass them on to a certain number of recipients. The "chain" is actually an exponentially growing pyramid that cannot be sustained indefinitely. Common methods used in chain letters include emotionally manipulative stories, get-rich-quick pyramid schemes, and the exploitation of superstition to threaten the recipient with bad luck or even physical violence or death if he or she "breaks the chain" and refuses to adhere to the conditions set out in the letter. Originally, chain letters were letters one received in the mail. Today, chain letters are often sent via email messages, postings on social network sites, and text messages. Madonna Louise Ciccone is an American singer-songwriter, actress and businesswoman. Referred to as the "Queen of Pop" since the 1980s, Madonna is known for pushing the boundaries of songwriting in mainstream popular music and for the imagery she uses onstage and in music videos. She has frequently reinvented her music and image while maintaining autonomy within the recording industry. Although having sparked controversy, her works have been praised by music critics. 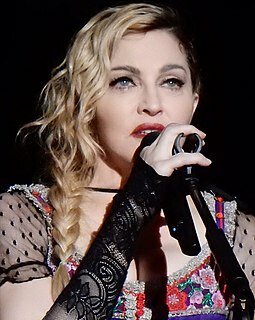 Madonna is often cited as an influence by other artists. Arnold Alois Schwarzenegger is an Austrian-American actor, filmmaker, businessman, author, philanthropist, activist, politician, and former professional bodybuilder and powerlifter. He served as the 38th Governor of California, from 2003 to 2011. Craig's cancer worsened. His British doctors estimated he might only have a few weeks of life remaining and suggested the family bring him home for the last few weeks. Virginia billionaire John Kluge, founder of Metromedia, learned of Shergold's illness and arranged for him to travel to the United States for a new type of operation. He was operated on in 1991 at the University of Virginia Medical Center, where a physician was able to remove virtually all of the tumor except for a benign fragment. Craig grew into a healthy adult. 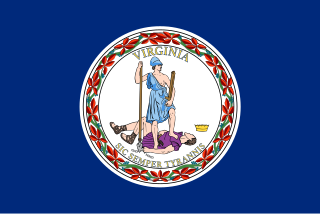 Virginia, officially the Commonwealth of Virginia, is a state in the Southeastern and Mid-Atlantic regions of the United States located between the Atlantic Coast and the Appalachian Mountains. Virginia is nicknamed the "Old Dominion" due to its status as the first English colonial possession established in mainland North America and "Mother of Presidents" because eight U.S. presidents were born there, more than any other state. The geography and climate of the Commonwealth are shaped by the Blue Ridge Mountains and the Chesapeake Bay, which provide habitat for much of its flora and fauna. The capital of the Commonwealth is Richmond; Virginia Beach is the most populous city, and Fairfax County is the most populous political subdivision. The Commonwealth's estimated population as of 2018 is over 8.5 million. John Werner Kluge was a German-American entrepreneur who was at one time the richest person in the United States. He was best known as a television industry mogul in the United States. Metromedia was an American media company that owned radio and television stations in the United States from 1956 to 1986 and controlled Orion Pictures from 1988 to 1997. The Royal Mail gave their home its own postal code because of the volume of mail they received. To avoid the deluge of mail, the family halted mail delivery and later moved. Guinness World Records, known from its inception from 1955 until 2000 as The Guinness Book of Records and in previous United States editions as The Guinness Book of World Records, is a reference book published annually, listing world records both of human achievements and the extremes of the natural world. The brainchild of Sir Hugh Beaver, the book was co-founded by brothers Norris and Ross McWhirter in Fleet Street, London in August 1954. A Christmas card is a greeting card sent as part of the traditional celebration of Christmas in order to convey between people a range of sentiments related to Christmastide and the holiday season. Christmas cards are usually exchanged during the weeks preceding Christmas Day by many people in Western society and in Asia. The traditional greeting reads "wishing you a Merry Christmas and a Happy New Year". There are innumerable variations on this greeting, many cards expressing more religious sentiment, or containing a poem, prayer, Christmas song lyrics or Biblical verse; others focus on the general holiday season with an all-inclusive "Season's greetings". An E-card is similar to a postcard or greeting card, with the primary difference being that it is created using digital media instead of paper or other traditional materials. E-cards are made available by publishers usually on various Internet sites, where they can be sent to a recipient, usually via e-mail. It is also considered more environmentally friendly compared to traditional paper cards. E-card businesses are considered environmentally friendly because their carbon footprint is generally much lower compared to paper card companies because paper is not used in the end product. Norris Dewar McWhirter was a British writer, political activist, co-founder of The Freedom Association, and a television presenter. He and his twin brother, Ross, were known internationally for the founding of The Guinness Book of Records, which they wrote and annually updated together between 1955 and 1975. After Ross's assassination by the Provisional Irish Republican Army (IRA), Norris carried on alone as editor. Alan Ross McWhirter was, with his twin brother, Norris, the co-founder in 1955 of Guinness Book of Records and a contributor to TV programme Record Breakers. He was murdered by the Provisional Irish Republican Army (IRA) in 1975. Maurice A. Catarcio was an American professional wrestler. He was best known for competing in the then World Wide Wrestling Federation from 1957 to 1960, under the ring-name The Matador. After being diagnosed with prostate cancer in 1991, he became an advocate for public health and fitness. He was also in The Guinness Book of World Records for his public displays of strength. The Royal Commonwealth Pool is a category-A-listed building in Edinburgh that houses one of Scotland's main swimming pools. It is usually referred to simply as the Commonwealth Pool and known colloquially as the 'Commie'. Clintons, previously branded as Clinton Cards, is a chain of stores in the UK founded in 1968 by Don Lewin and known for selling greeting cards, together with soft toys and related gift products. The Gurbantünggüt Desert occupies a large part of the Dzungarian Basin in northern Xinjiang, in the northwest of the People's Republic of China. It is also called by some sources as Dzoosotoyn Elisen Desert, presumably from a Mongolian language. Card Factory is a chain of greeting card and gift stores in United Kingdom founded by Dean Hoyle and his wife Janet; the first store opened in 1997. It is listed on the London Stock Exchange, and is a constituent of the FTSE 250 Index. The Miracle of the Cards is 2001 American television drama film distributed by Cloud Ten Pictures. It starred Kirk Cameron, Karin Konoval, Catherine Oxenberg, Peter Wingfield and Richard Thomas. It first aired on November 10, 2001 on PAX. Debbie Williams is an American teacher from Post, Texas who was involved in a famous skydiving incident on April 18, 1987 in Coolidge, Arizona. A sick baby hoax is a confidence trick where a person claims, often on a website, that they have an ill child and are struggling to pay for its medical expenses. Some versions of the hoax ask people to make a monetary donation directly, while others simply encourage people to share the story. The Jessica Mydek hoax was a popular chain letter, circulated by hoaxsters, to play on the sympathy of credulous readers, and get them to respond, so as to build a sucker list. The letter was first observed, in the wild, in 1997. Stephen Robert Sutton,, was an English blogger and charity activist known for his blog Stephen's Story and his fundraising efforts for the Teenage Cancer Trust charity for the aid of teenagers with cancer. By the second anniversary of his death, £5.5 million had been raised in his memory. Gogea Mitu, born Dumitru Ștefanescu was a Romanian boxer and the tallest Romanian in history. Gogea Mitu is also listed by the Guinness Book of World Records as the tallest professional boxer. ↑ "Cancer patient Craig Shergold Wants to Break The World Record for Receiving Greeting Cards". www.truthorfiction.com. Retrieved 14 June 2012. 1 2 Emery, David. "A User's Guide to Craig Shergold". About.com . Retrieved 14 June 2012. 1 2 Mikkelson, Barbara & David P. "Craig Shergold". Snopes . Retrieved 14 June 2012. 1 2 "Flood of postcards continuing after Craig Shergold cured of brain cancer". Kingman Daily Miner . 6 July 1998. Retrieved 14 June 2012. ↑ Donald McFarlan & Norris McWhirter (1991). Guinness Book of World Records, 1991. New York City: Bantam Books. p. 487. ISBN 0553289543. ↑ Donald McFarlan & Norris McWhirter (1992). Guinness Book of World Records, 1992. New York City: Guinness World Records Limited. p. 216. ISBN 0851123783. ↑ Williams, Robert M. (21 November 2007). "Most of us just want to be kind". The Alma Times. Retrieved 14 June 2012. ↑ Tahir, Tariq (7 February 2013). "Well-wishers send 350m get well cards to former cancer patient". (UK) Metro. Retrieved 7 February 2013. ↑ "Fraud Alerts". Make-A-Wish Foundation . Retrieved 14 June 2012. ↑ "The Miracle of the Cards". IMDB . Retrieved 14 June 2012. ↑ "Frequently Asked Questions". Guinness World Records . Retrieved 14 June 2012.